Tobin is a freelance performer, writer, choreographer, dancer, actor, DJ and events Co-ordinator/producer. Combining elements of contemporary dance, expressive movement, popular culture, social comment and satire, Tobin’s work could be described as Pastiche. Over the past 20 years he has been involved in theatre works, production and performance at Mardi Gras, in fashion parades, film and dance variety at Belvoir St Theatre. He also choreographed, hosted and performed at “Jamie & Vanessa” events in Sydney. Tobin is now working solo with the Vanessa Wagner character and is also freelancing as an actor. He appears on TV as a social commentator and contemporary icon. His eclectic experience and skills have enabled Tobin to produce work that is fresh, challenging and innovative. Avoiding the labels of “Dance”, “Theatre” or “Comedy”, he combines all into a vibrant hybrid. Vanessa Wagner is one of Australia’s most colourful and entertaining identities. She started as a dedicated housewife and part time hostess. Vanessa was crowned Sydney Mardi Gras Miss Fair Day 1993. For seven years she coordinated and hosted the spectacularly successful Drag Race Meet at Bondi Beach for the Sydney Fringe Festival. From early 1993 till 1996 Vanessa captivated audiences with Jamie and Vanessa parties and stage shows. Vanessa now produces her own parties, events and shows. She is proud dance mistress of her very own Crystal Stepz Dance Company, creating works of a kind rarely seen! Her sell out hit dance show, Vanessa Wagner’s History of Dance broke box office records and may become a film. 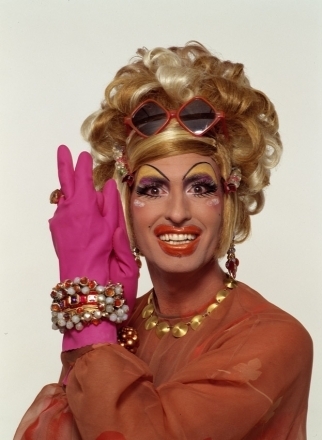 She Co-hosted the Sydney Mardi Gras Parade telecasts on Channel Ten for 5 years. She also had a regular appearance as talk back host, on national youth radio station Triple J. Vanessa’s intelligent, opinionated and funny repartee is a sure crowd pleaser. She was the most colourful and loved entrant in Celebrity Big Brother, has made Australia laugh featuring in a new Snickers TV commercial and keeps Australia laughing with TV and Cable appearances. With a myriad of corporate speaking & charity works across Australia and “Pin up Girl” for Ozemail Vanessa has proved her flexibility and has cemented her position as a lovable Australian icon. National print media campaign for ISP Ozemail.